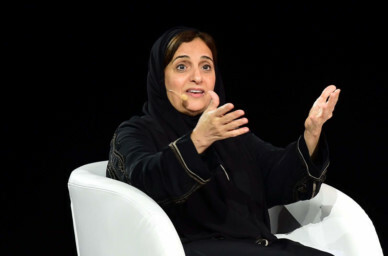 Dubai: The UAE’s Minister of State for Tolerance, Sheika Lubna Al Qasimi, is this year’s most powerful Arab woman in government, according to the latest rankings released by Forbes Middle East. The government official is the only resident from the UAE who has been included in the top ten list. She is followed by two women from Egypt, Sahar Nasr (Minister of Investment and International Cooperation) and Ghada Wali (Minister of Social Solidarity) in the top three. The rest of the positions in the top ten went to female ministers in Kuwait, Algeria, Jordan, Oman, Bahrain and Tunisia. Forbes Middle East came up with the rankings after reviewing data from various sources, taking into account the gross domestic product figures for the countries the ministers represent, their years of experience and scope of their role or ministry. The magazine stated that Arab women this year “appear to be cracking the remaining glass ceilings,” with many of them landing key appointments in government and doing significant work. “Lobna Helal, Deputy Governor of the Central Bank of Egypt, floated the country’s currency this year; Nezha Hayat is heading up the Moroccan capital market, and Sheikha Bodour Al Qasimi chairs the Sharjah Investment and Development Authority,” Forbes said.